We just recently finished moving our kids into new bedrooms. Now that our new little one is expected to be here at the end of the month, we had to move our oldest daughter to our guest room, our son into our daughter's old room and make the nursery from our son's old room. It was a long process,but we're finally all done and I'm excited that I have a couple of weeks to just sit and relax before our baby arrives. When we moved our daughter into her new room, she wanted to pre-teen or tween look. So it was goodbye to all the princess decor and hello to a new loft bed that had a desk attached with it and lots of One Direction pictures and decor. The color of her room is a deep purple and so we've matched silver and pink to go with it. The colors blend pretty well together. 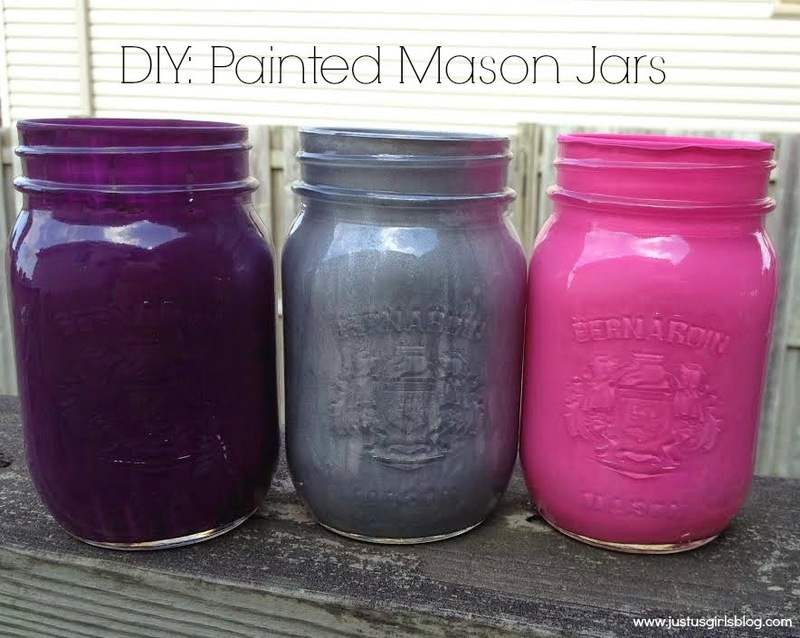 One thing I wanted to add in her room was a couple of mason jars. 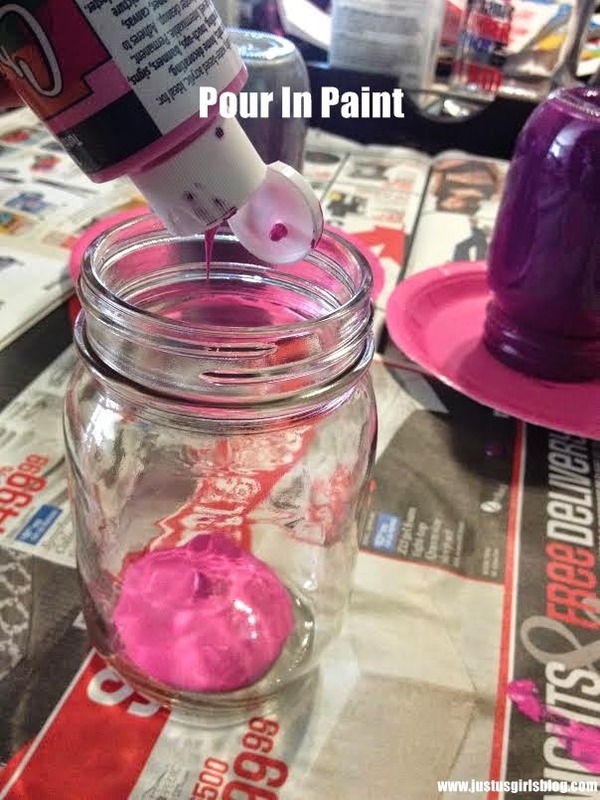 Since mason jars are definitely in, especially for young girls, I thought adding a few painted mason jars on her desk would look perfect and give her room a more teeny-bop look. I was lucky enough to get sent a case of mason jars from BerNARdin. 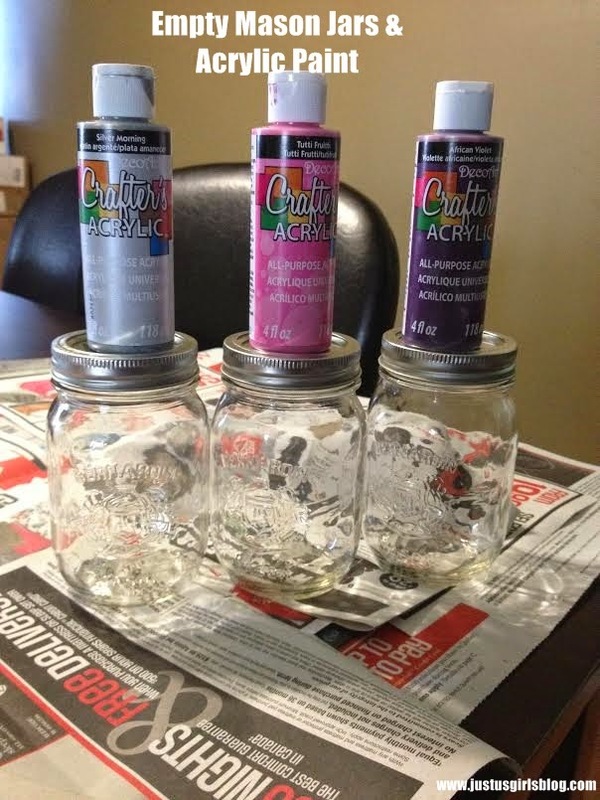 Not only are these mason jars great for canning, they're perfect for crafting and storing items, like, paint brushes, pencils, make-up brushes and much more. 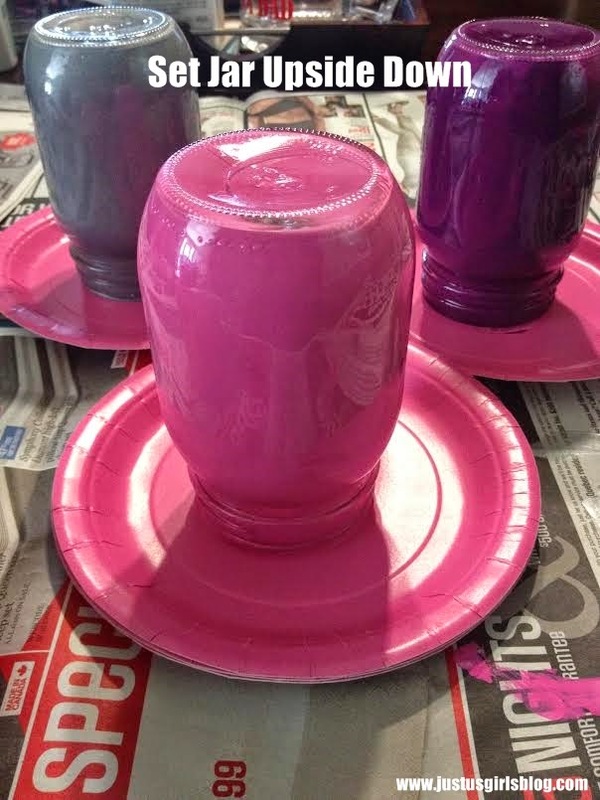 These jars are strong, durable and are great quality. So adding them to my daughter's room as a pencil holder and make up brush holder was a no brainer. You can find out more about BerNARdin's and their products by checking them out on their website, Facebook and Twitter! Directions: Remove the tops from your jars. 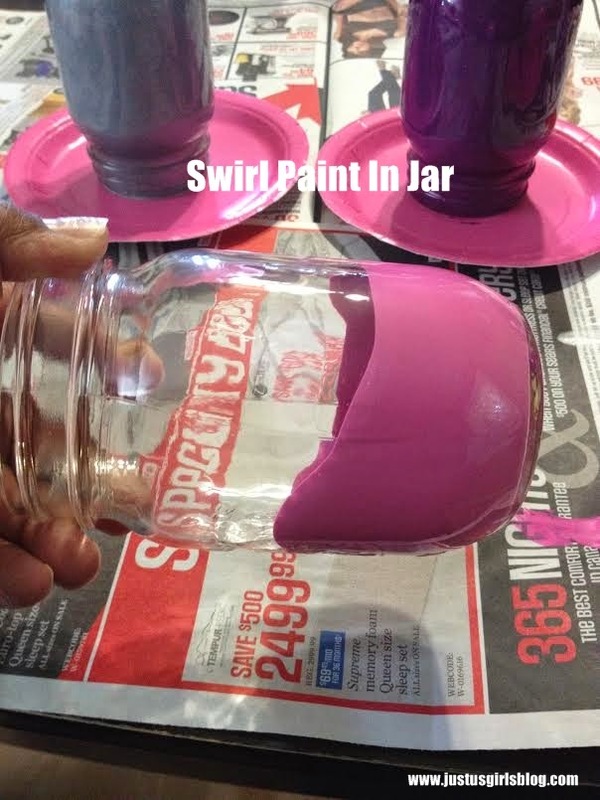 Pour in a generous amount of paint in your jar and just swirl your paint from the bottom to the top of the jar and set the jar upside down on a paper plate, cardboard or newspaper so that the excess paint can drip off. It takes a few hours to dry, but once they're dry they look beautiful! Disclosure: All opinions are my own. I received case of BerNARdin's mason jars at no cost for the purpose of this review. No other compensation was received.